Ugh, what a crazy 24 hours! Yesterday, I was freezing at work and couldn't figure out why. On my way home, I was still cold despite putting the heat on in my car. I crawled under the covers once I got home, and stayed there all night and day with a fever. I must have had the 24 hour flu because now I feel better, but only after feeling like a truck had run me over during the day. My other theory, and maybe some of you mommies will sympathize, is that the culprit is my blocked duct that started yesterday morning and still hasn't gone away. It's painful and sore, and I think the fever was my body's reaction to the blockage. Hopefully my body will resolve itself before I have to go into work on Monday! After getting a much needed bowl of ramen tonight, I stopped into Walgreens to pick up some toothpaste and photos. I tried to stay away from the cosmetic aisle, but the new displays pulled me in. 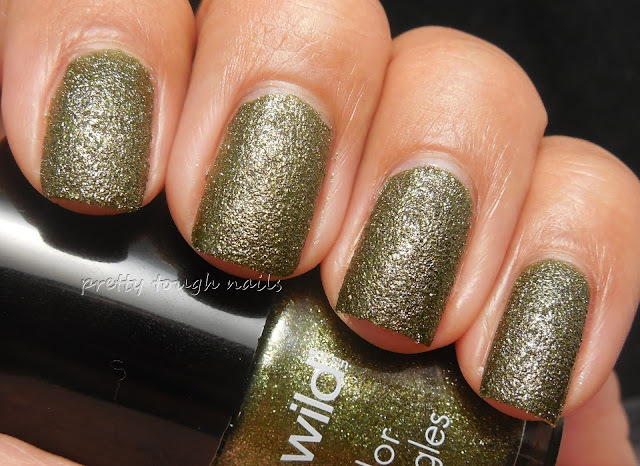 I was drawn to the new Wet n Wild texture polishes and like a moth to a light, I had to pick up ATTEN Hut!, a sparkly and gorgeous bronzed olive sand. For a Wet N Wild, it was a bit pricey at $3.99 but I could not help myself and brought it to the register with my other purchases. I haven't used one of the small cylinder bottles in a long time, and the tiny bushy brush was a downfall during application. I had trouble getting near my cuticles on my smaller nail beds, but otherwise the polish flowed smoothly and easily. It was nearly a one coater but I used two in these pics. Gah, how gorgeous is that sand? 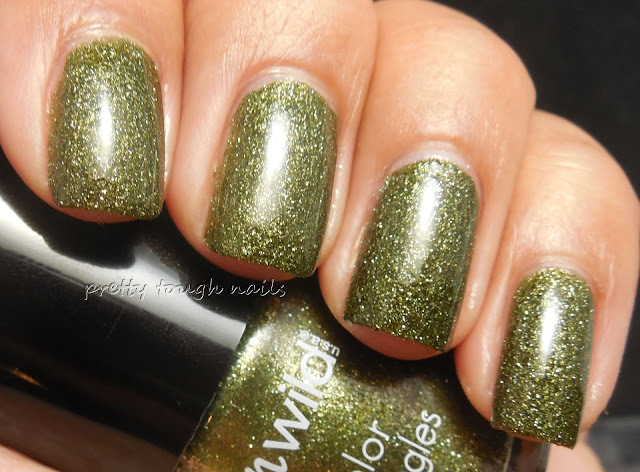 I love that color of green and the gold just adds a touch of bling factor to that shade. 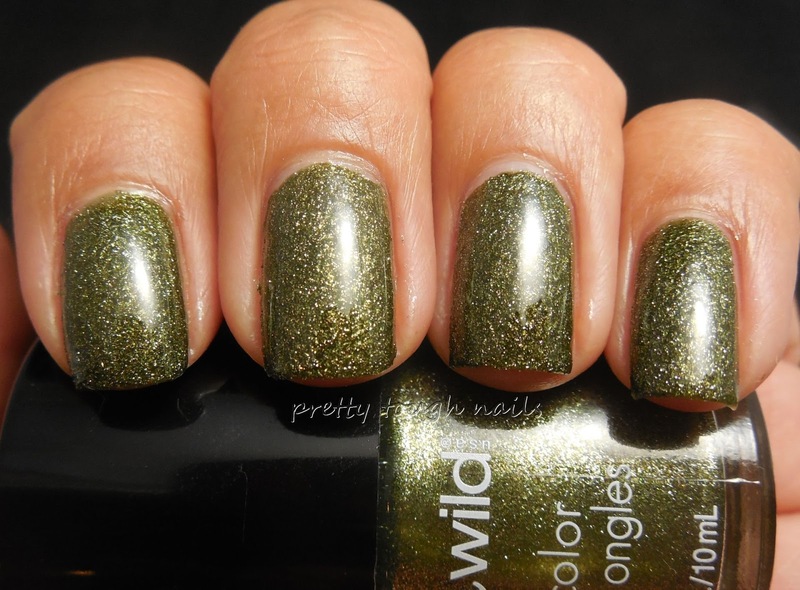 I think this might be the most perfect sand color, EVAH! I can't wait to use this during the fall. 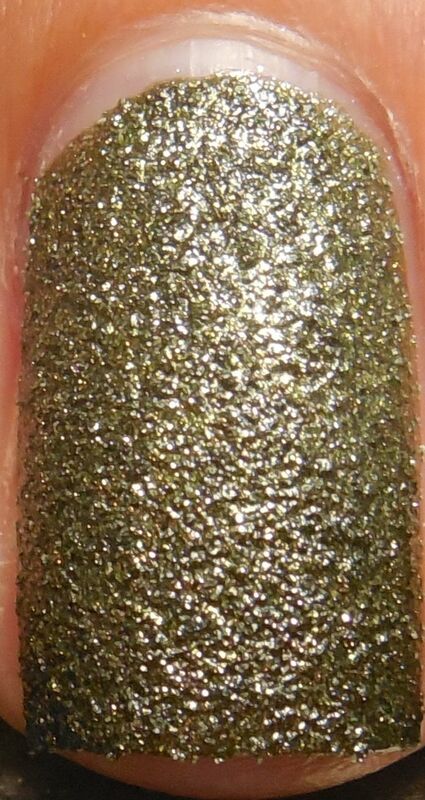 And to top it off(literally), I used two coats of Gelous and a layer of Poshe. It was super thirsty and needed the three coats to smooth out. 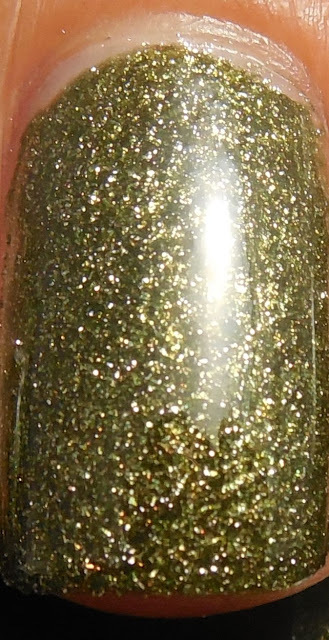 I was dreading adding the topcoat, but I think it still maintains its awesomeness, but in an entirely different way. Check it out! OMG, I can't decide which I like better. I do know one thing, and that's you need to run out and grab this polish ASAP. There was also a purple shimmery shade in the display, but I held off buying it because I wanted to get the Zoya purple that was released for fall. After ATTEN Hut! I think I will have to rethink that and get that one instead! 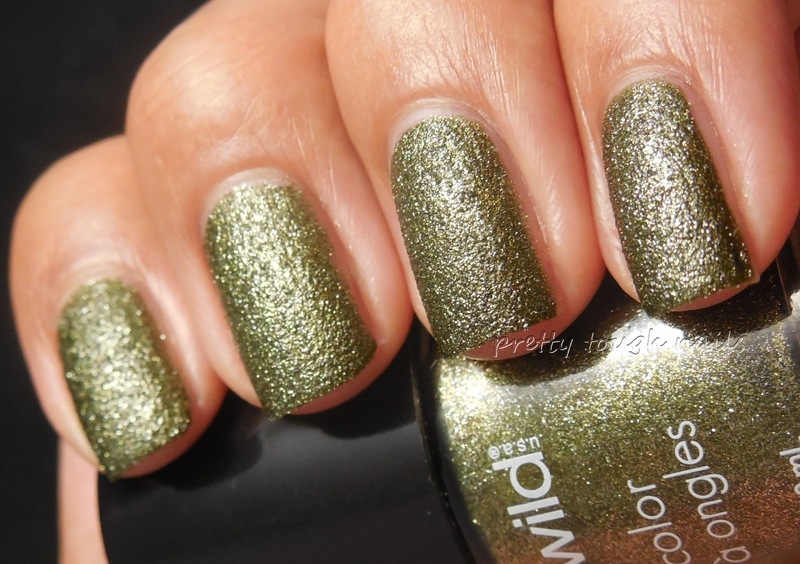 Have you seen these, and what color do you think is the perfect color for sand polishes? 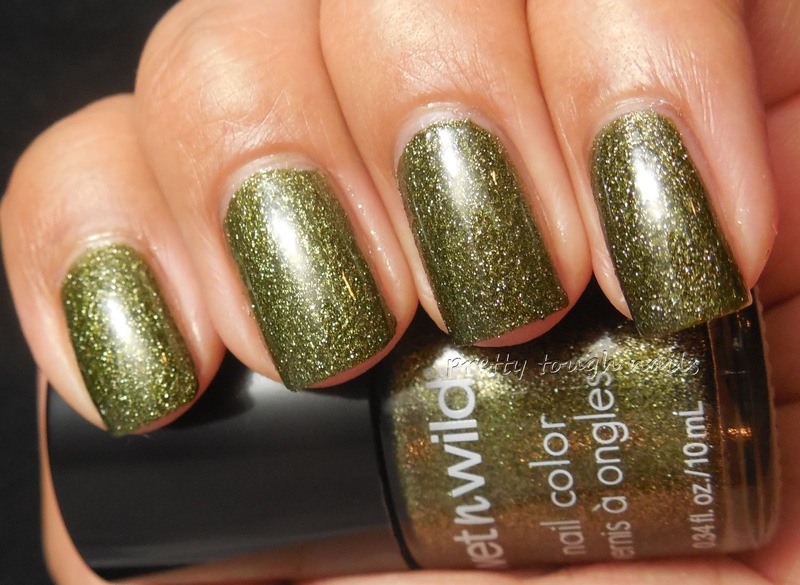 This is a great color and even better with a top coat!